Microsoft may not be the only name that comes to mind when discussing HoloLens. Hardware veteran Asus is discussing the possibility of building its own version of the highly anticipated augmented reality visor. Asus Chairman Jonney Shih and Terry Myerson, Microsoft’s executive vice president of Windows and devices, confirmed the early dialogue with CNET. Shih added that he’s still evaluating what form an Asus-made HoloLens would take, suggesting a final decision hasn’t yet been made. The Satya Nadella-era Microsoft is much more amicable than under previous regimes. When Steve Ballmer was at the helm, for example, Microsoft didn’t tell its hardware partners that it was building the original Surface tablet until shortly before its public unveiling. Many believed that the first Surface would be a one-off product designed to help convince other manufacturers to build Windows 8 tablets. It soon became clear, however, that Microsoft intended to further develop the product line. That’s great for consumers but it created a lot of tension between the Redmond-based company and its hardware partners. Microsoft’s foray into hardware continued earlier this month with the announcement of the Surface Book, the company’s first-ever notebook. The hybrid Surface Book packs some seriously powerful hardware and a unique hinge design that has the potential to invigorate slumping PC sales. 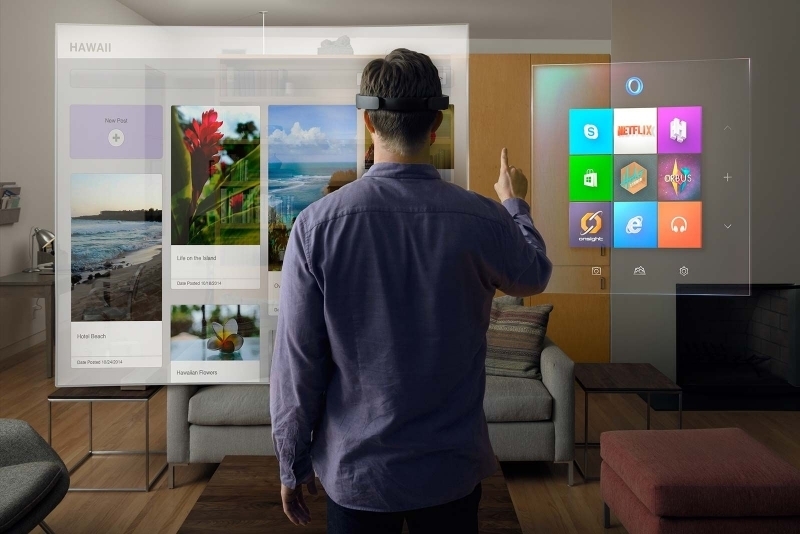 It’ll be interesting to see how – or if – Microsoft’s encroachment into the hardware market impacts its future with HoloLens.